Have you already finished the PPL(A) course and have a licence in your hands? Would you like to feel secure and confident to continue your flight even after the sunset? NVFR rating allows you to do exactly that. Moreover, this rating is a must if you want to proceed with Instrument Rating or with the Commercial Pilot Licence. The rating consists of 3 hours of theory and 5 hours of practical training on a Tecnam P2002JF, certified for night flights. 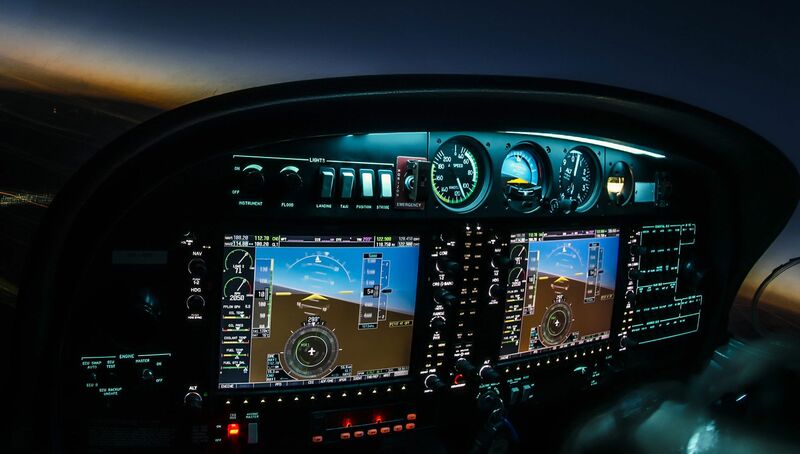 If you want to proceed with the Instrument Rating, the Night Visual Flight Rules rating is the next step after the Visual Flight Rules which is a base of the PPL licence. The Night Visual Flight Rules rating is only 8 hour-long module. The course consists of 3 hours of theory. Practical training consists of 5 hours of flights on a single-engine Tecnam P2002JF. *Flight training sessions lasts from March until October. There is no exam required by the CAA. Once you have finished with the module and your flight instructor signed on your logbook, you are eligible to address the CAA for the issue of the rating. BAA Training is based in Vilnius, Lithuania. Take a 360 tour. The academy operates at three aerodromes around the country. You could find more information about the aerodromes here. The short-term accommodation is offered at one of our partner hotels, which will be provided according to your flight training location by BAA Training.